The warm Pacific sun, rich volcanic earth, abundant mountain rain and cool trade winds of Kauai create ideal conditions for growing outstanding coffee. With over 4 million coffee trees grown on 3,100 acres, Kauai Coffee Company is Hawaii’s largest coffee grower, and thus the largest coffee grower in the U.S.
Kauai Coffee Company is a true Hawaiian coffee estate. 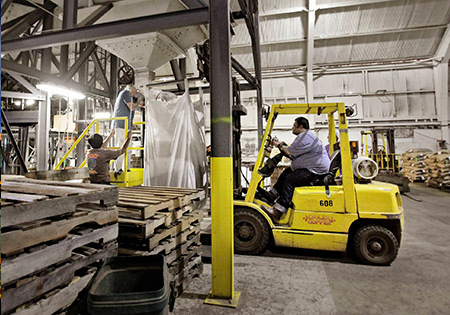 From growing the coffee to roasting and packaging, we employ sustainable, environmentally sound practices throughout every step of the process. Above all, we focus on assuring the highest quality and delivering our customers the consistency and excellence they deserve. 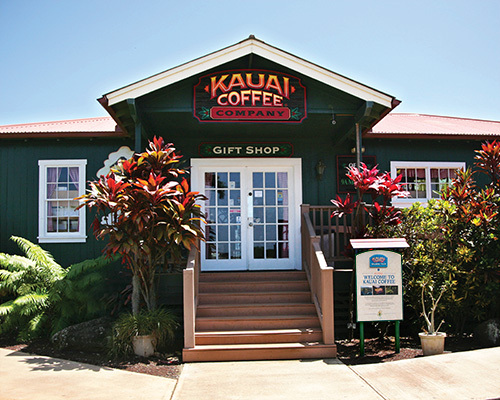 Kauai Coffee began in the early 1800s as McBryde Sugar Company, one of the first sugar farmers in Hawaii. 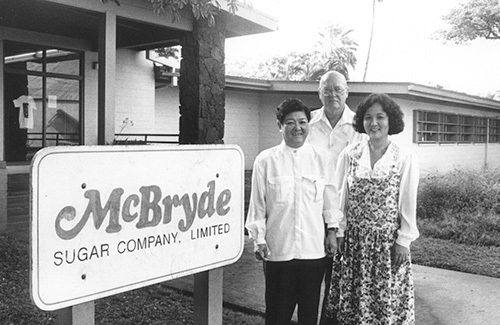 The transformation from McBryde Sugar Company to Kauai Coffee in 1987 represents Hawaii’s largest diversified agricultural project in the past 50 years. The Kauai Coffee venture experienced a severe setback in 1992 when Hurricane Iniki inflicted $8.5 million in damages to the coffee crop. The future of Kauai Coffee, and all of Kauai, looked bleak. Fortunately, both made a comeback, and in 1996, Kauai Coffee’s harvest exceeded the volume of coffee produced by the entire Kona region. Mike Shimatsu has been with the company since 1990. He’s the Manager of Roasting Operations and Institutional Equipment as well as a Certified Licensed Q Arabica Grader. His subject matter of expertise is focused on roasting, cupping and quality assurance. Mike established Kauai Coffee’s roasting program and is a Certified Lead Instructor for the Specialty Coffee Association of America. While traveling throughout the United States, he’s volunteered as a Station Instructor at the Specialty Coffee Conferences teaching Orientation to SCAA Cupping, Taste Testing for Production, Triangulation Cupping and Green Bean Grading. He’s also held cupping workshops for the Hawaii Coffee Association, the local community college as well as a Taste Discovery Workshop for the Maui Coffee Association and the Maui Coffee Farmers. 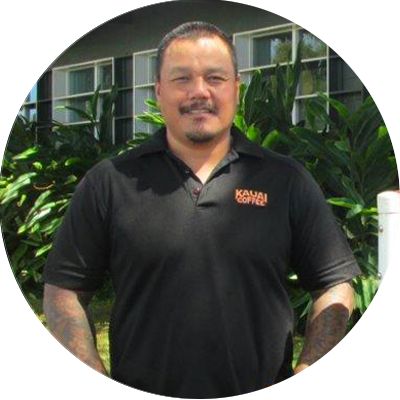 Recently, he established Kauai Coffee Company’s Food Safety, Food Defense and HACCP Program with the assistance of his Food Safety and Food Defense Team. This program ensures the products being manufactured are safe and meet Kauai Coffee’s high quality standards for its distribution centers. Tadashi Muratake has worked for Kauai Coffee Company since 2008. Prior to joining the team in 2010 as a Roast Plant Operator, he spent a few years working on equipment in the maintenance shop. Over time, he worked his way up to Associate Roast Master. Today, Tadashi is the Roast Plant Supervisor and is responsible for production scheduling, overseeing daily operations and scheduling preventative maintenance on all equipment. He’s also on the cupping panel to ensure the roasted coffees are consistent and meet our high quality standards. In addition, he’s responsible for training our personnel to properly and safely perform their jobs. 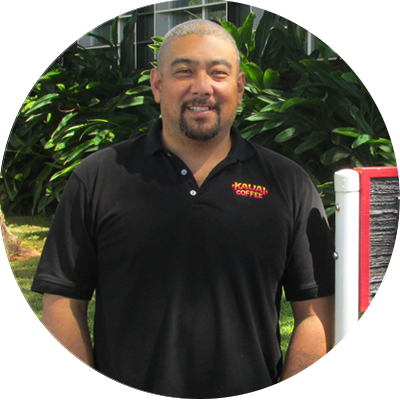 He assisted in establishing Kauai Coffee Company’s Food Safety Program and continues monitoring our HACCP Program. 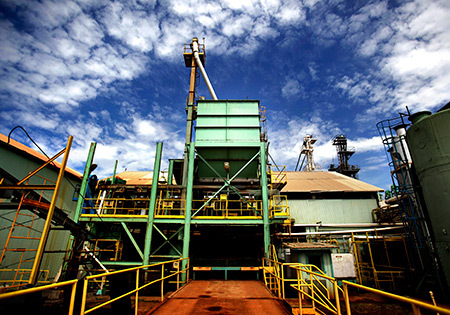 Over the past 15 years, Kauai Coffee has invested in all aspects of coffee production and processing. Although a relative newcomer globally, we are proud to be at the leading edge of coffee production technology and the sole producer of more than half of the coffee grown in the United States. 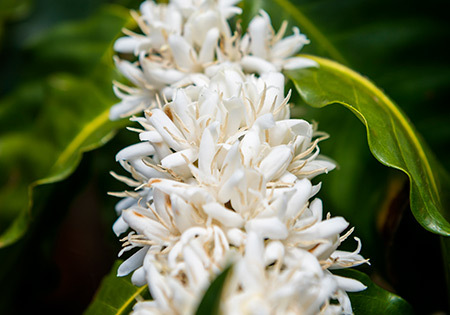 From the time our plants blossom to when the coffee is shipped to you, our beans undergo a rigorous quality control process to ensure that every cup you enjoy is of the highest quality, worthy of the Kauai Coffee name. 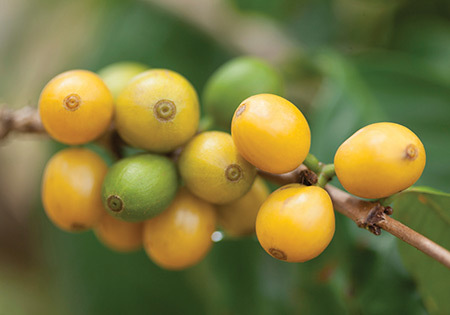 Coffee starts like many other fruits we enjoy — as a beautiful, fragrant and delicate blossom. These blossoms eventually develop into the coffee cherry, and it is the seeds of this fruit, usually two to a cherry, which become the coffee bean familiar to most of us. On Kauai, the blossoming begins in February or March, and by May, the young fruit begins to form. The fruit ripens around late September, and harvesting begins. Kauai’s harvesting period runs from mid-October through early December. 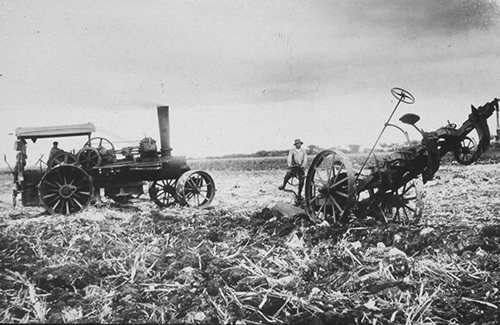 We harvest 24 hours a day, 7 days a week, using 3 shifts — a practice unique in our industry. Due to the size of the estate and the existence of several micro-climates, we rely on daily scouting reports to select the fields with maximum ripeness. After the coffee cherries are harvested, trucks deliver them from the fields to the wet processing plant within two hours, eliminating the chance of fermentation and damage to the coffee. At the wet processing plant, the cherries are separated into three types as determined by stages of maturity — ripe, natural and immature coffee. These stages are decided by noting inherent differences in density and hardness of the cherries. We produce five grades of coffee from our wet processing plant, with an average daily capacity of 650,000 pounds of cherries. Next, the ripe coffee cherries are “pulped,” (the skin and fleshy fruit of the cherry are removed) in a pulper, whose pulping pressure is set to liberate the beans from the ripe soft cherries. The ripe, pulped coffee is then given several more chances to “fail” quality tests, primarily based on bean density at this stage. Passing through density channels and “cribas,” the selection process of the best coffee continues. Next, the pulped beans are hydrowashed to remove the sticky mucilage that coats them, then sent to pre-dryers, a fluidized bed of air that is the start of the drying process. 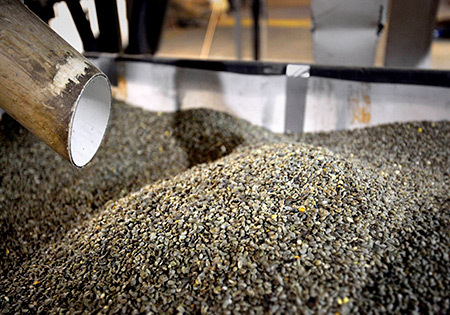 After this, the beans are gently dried in heated drying elevators for 18 to 36 hours. The bean temperature is carefully monitored during drying, and the heat is turned off for 8 or more hours per day to simulate cool night breezes associated with patio drying. 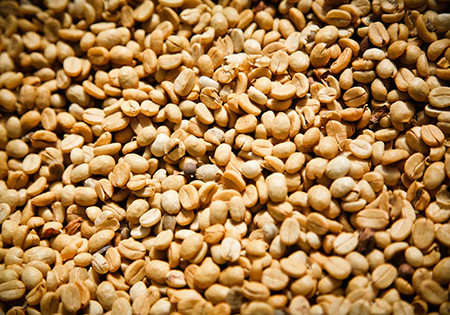 The result is parchment coffee, or pergamino, at about 11–12% moisture. 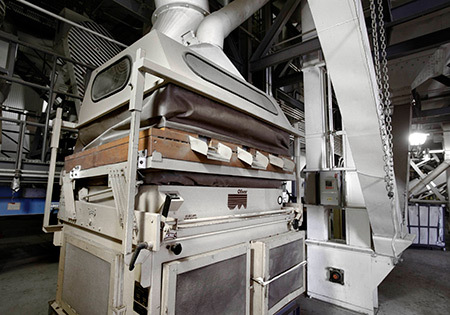 The coffee rests in parchment for a while and is then milled to remove the parchment and silverskin, again taking great care to monitor bean temperatures and preserve each bean’s flavor and quality. Sizing screens and density tables further sort out the best beans. 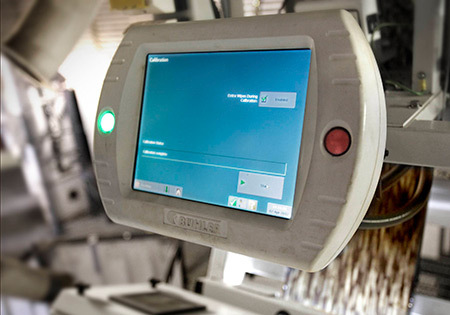 The final sorting step in the dry mill is the color sorter, where an electronic eye scans each bean for color, selecting the finest colored beans and rejecting those that don’t pass with a blast of air. 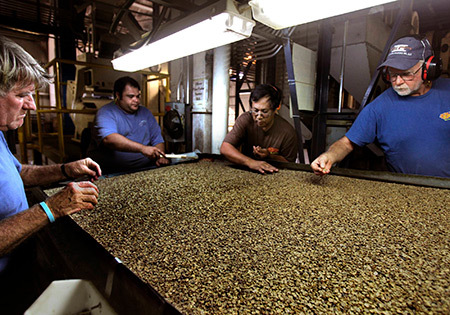 Each batch of coffee is graded and cupped and inspected by the State of Hawaii Department of Agriculture. The DOA inspector officially certifies each batch of coffee by grade quality and origin. Once certified, the bag’s tag is marked to indicate grade and origin, and the 100% pure Kauai coffee is ready for roasting! The coffee is roasted and packaged on our estate. It is then shipped to coffee lovers around the world!